During half term, three of our friends who live in St Albans took my mum, Annabelle and me to the Waffle House. We had just been for a walk in the park opposite, to feed the ducks and Annabelle burnt off a lot of our lunch at the Thai Square, by jumping in the puddles of water that had seeped on to the path from the flooded lake. We had three waffles between the six of us. I shared a banoffee waffle with my mum. It came with banana, toffee sauce and flaked chocolate. The vanilla ice-cream was extra. We ordered it instead of whipped cream as we hoped Annabelle would have some, but as I mentioned in my New Year’s resolution post, Annabelle has very fussy eating habits and it was down to my mum and I to finish it. She doesn’t have much of a sweet tooth (the opposite of me!) and went off any kind of chocolate for several months. She only eats ice-cream in a cone and only if she’s in the mood for it. 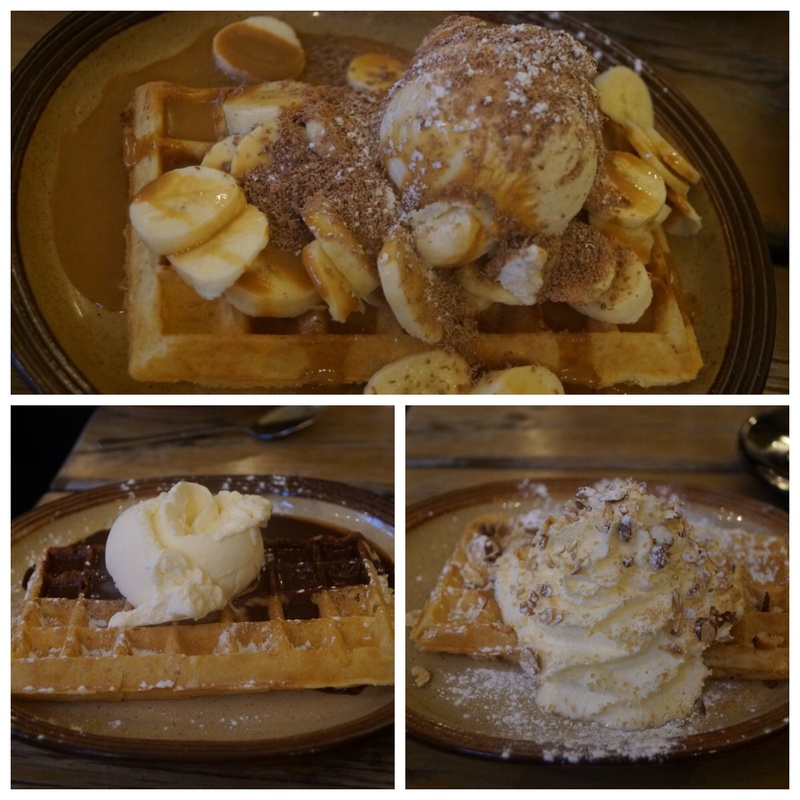 Our friends shared a chocolate and a spiced fruit and nut waffle. To drink we had elderflower and apple punch which I think was on the daily specials menu. 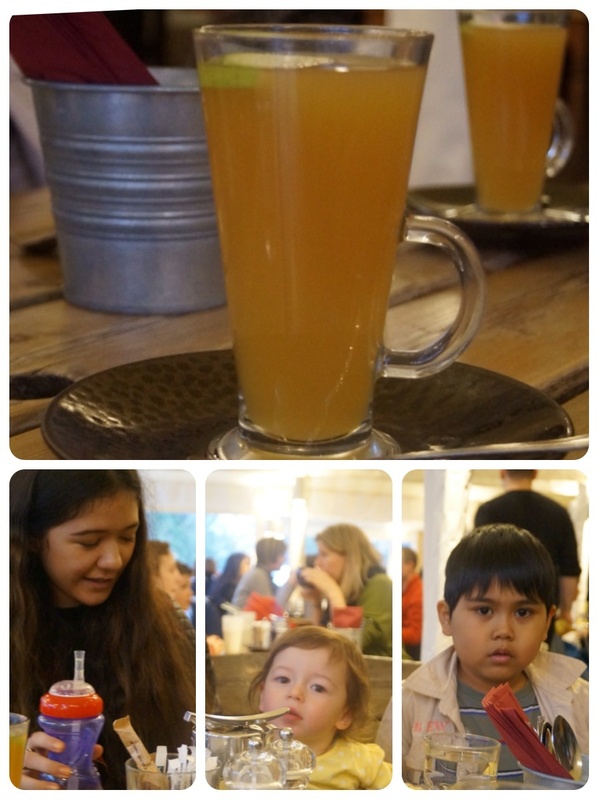 Have you been to the Waffle House in St Albans? What do you recommend?